Whether you are a first time home buyer, looking into refinancing, or even considering a new home purchase mortgage in York, PA, Artisan Mortgage Company can save you time, money, and help you find the right Pennsylvania home loan today. With a professional staff, low York, PA mortgage rates, and a variety of loan products including VA, USDA, FHA, 203k home improvement, Artisan Mortgage can help you work through the mortgage process and make it as easy as possible! Our friendly, experienced, and knowledgable mortgage brokers in York, PA can help you weigh the many options available in terms of home financing, all with pricing that is among the best on the market throughout County including nearby Hanover, Weigelstown, Shiloh, East York, Parkville, Red Lion, Spry, New Freedom and Dallastown. Contact Artisan Mortgage experts now at 1-800-499-0141 to discuss various mortgage options, prequlify here, or fill out the convenient form on this page to find out about other mortgage solutions that you may qualify for. Get the Best Deal in York, PA for FHA, 203k, VA and USDA Home Loan! There are two main types of home loans in York, PA that the loan originators write which are fixed rate mortgages and adjustable-rate mortgages. How do I compare home mortgage programs? How does a fixed rate loan program protect my future? What happens when an adjustable rate program adjusts? Which loan program has the lowest interest rate? How do I access my current home’s equity? To learn more about how these key loan topics affect your purchase, call one of our mortgage specialists today! We offer flexible solutions to meet your individual needs. Listed below are a few of the specialty products available to our customers. Adjustable-Rate Mortgages (ARM) - An ARM is a flexible financial tool that helps make your money work for you. Choose from different payment options every month. Fixed Rate Mortgages - If you prefer a fixed monthly payment, choose a fixed rate mortgage. Alternative Options - We offer many alternative financing options, including first-time home buyers, VA loans, FHA. The current real estate and financial markets have many potential homebuyers concerned about how they can afford a downpayment on a new home. We have low money down financing options to fit qualified borrowers' needs, including VA loan and FHA mortgage products in York, PA area. Call us today to learn more why people in this area are turning to them for low interest rates and great refinance and purchase home loan products. We offer a variety of programs to meet your needs: 10-30 year fixed rate, combo, adjustable rate, Jumbo as well as non-conforming loans for borrowers with less than perfect credit. We have several financing options available in conjunction with other financial institutions that can fit the needs of most borrowers. We also work in partnership with the top lenders and can provide qualified borrowers with down payment and closing cost assistance. Don't worry if you've been turned down for loan before. We will help you reestablish your credit and recover from overwhelming debt. Apply Online to get started. Let us help you get the insurance coverage you need for your new home. Click here to get a no-obligation quote. In today's housing market, many homebuyers are looking for the most steady, predictable mortgage option possible. If this sounds like you, and you're in the market for a home loan in York, PA, Artisan has many low-interest mortgage solutions that may fit your long-term mortgage goals. New construction financing is designed for the construction of new residential homes. Terms are generally structured for interest only payments while your house is being built. Upon completion, the loan is modified into the mortgage product best suited to your long term needs. Want to make in an investment you can enjoy for years? See how we can make it simple. Looking for an investment you can enjoy? AMC makes financing vacation and second homes simple. Rates are substantially lower than credit card debt, but are slightly higher than first mortgage loans. Equity Loans have a fixed term and amortization can be tax deductible for buyers who file itemized deductions. Whether it is generating cash from the equity, or setting up refinancing, our personal loan products are designed to be flexible and to meet a varying range of personal situations. Dena and Tom wanted their own home. With a growing family in tow, it was time. But knowing where to start seemed overwhelming. Then they met Jim at Artisan. Not only did Jim get them pre-approved, but he spent the time - talking with them, dreaming with them - to find just the right plan. Now, thanks to him, they are investing in their future, not a landlord. We can help you save up to $500 and more every month-even if your credit is less than perfect. We also have loans that require little or no equity in your property. A lot loan is the first step toward building the home of your dreams. Contact us or apply online now for lot acquisition. Obtaining a mortgage (especially your first) introduces you to a variety of unfamiliar terms. One that’s new to most people is escrow. While the term is used in many ways, two are particularly important when you’re obtaining a mortgage. First, escrow refers to how the funds are handled when you buy or sell a home. It protects both buyer and seller, as well as others involved in the transaction (such as mortgage lenders) by making sure that money and ownership do not change hands until all the proper steps have been followed. The greatest benefit AMC offers its brokers is service and speed. You'll have the most experienced non-prime people in the business working with you to get your clients funded fast. We understand that you should not have to put up with long, drawn-out time-consuming loan committees, complex chains of command or one-size-fits-all formulas for decisions. At AMC, you will meet directly with a person who normally has the authority to make decisions right away. So if conventional big banking isn’t meeting your needs and you are ready to explore the advantages of local, personal broker, please contact us now. With rates as low as Prime minus - when you have your payment automatically deducted, you'll be ready for any unexpected expenses or opportunity. Even if you have no immediate need for extra cash, your Equity Line of Credit is ready and available, without the need to apply again and again. You have total control. Plus, as you pay your Home Equity Line balance down, the amount available on your line increases… it’s that simple! We just wanted to tell you thank you for all the help you gave us with refinancing our home, so that we could get back on our feet. You were very helpful, patient, and kind during the whole process. It's hard to admit when things got tough for us we made a few mistakes. You made me feel very comfortable talking to you about those mistakes. 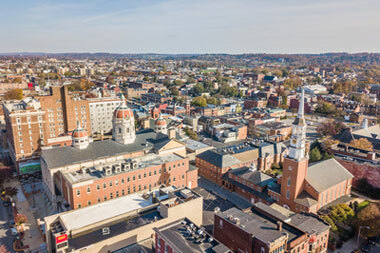 Whether you are looking to lower your interest rate, reduce your repayment period, or cash-out some of your equity to pay off other debts or build an addition on your home, Artisan Mortgage Company can help you find the right refinance home loan in York, PA at a competitive interest rate. There are FHA loans which may allow you to refinance to a higher loan-to-value limit than through other financing channels. Interest rates change daily. So, if you are shopping rates, please know that we are always competitive. Getting all 3 at the same time will allow you to compare the information and be sure that you won’t miss anything. You may also get your reports and/or your score the old fashioned way, purchase them. All you have to do is log on to the reporting agencies websites listed above and order the information you need. Your report will be broken down into four parts, identifying information, history, public records, and inquiries. We are committed to helping you find the right loan. Call 1-800-499-0141 to talk with the mortgage specialists today, or fill out the quick free rate form on this page to find out about additional mortgage options. If you prefer to meet with our loan officer in person simply contact us, or stop by one of our convenient locations. We'll put our expertise to work for you. We offer personalized service and work within your schedule to meet after hours or even on weekends. Artisan Mortgage Company, a licensed mortgage broker in Pennsylvania offers bad credit, home equity, USDA, VA and FHA mortgages in York, PA from top lenders including areas of: Parkville, Dallastown, Weigelstown, Red Lion, Shiloh, East York, Hanover, Spry and New Freedom.